A currency swap is defined as a deal where two entities agree to exchange two fixed rate interest payments the principal of a debt instrument in two different currencies. A currency swap is an agreement between two entities (usually from different countries) to exchange the principal and interest on the loan principal at its current market rate on value. This is usually done for mutual benefits and to protect against the risk of sudden currency exchange rate fluctuations. Often, one of the parties pays an interest rate which is fixed while the other party pays a variable or floating interest rate. There are also occasions when both parties pay a fixed interest rate, or they may decide to both pay a floating interest rate. Once the currency swap reaches maturity, the swapped assets are exchanged back to the original owners in full. 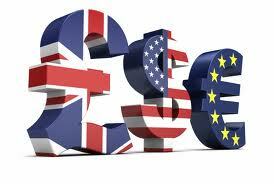 A distinction has to be made between a currency swap and an interest rate swap. In the latter, the swapped assets are not exchanged back in full. This is also known as cross currency swap if the exchange involves exchange of 2 interest payments in different currencies with one stream possessing a floating interest rate. 1. A currency swap allows the participants access to cheap funding. From the trade example we shall see below, it is possible for an international company that may be hit with high interest rate charges when trying to borrow from a bank in another country, to replace the high interest rates that it could have paid with a lower interest facility via the swap. 2. Currency swaps can be used as a hedge when issuing bonds. 3. Currency swaps give corporate entities the flexibility that they require to utilize any comparative advantages that they have in their respective debt issuing markets. 4. Currency swaps give companies the ability to exploit advantages over a basket of currencies and debt maturities. 1. Currency swaps present higher credit risk. 2. If one party defaults on payments of the interest as capital, an exposure occurs which could jeopardize the other party. Let us assume that a company known as Swap A, doing business in the United Kingdom, issues a corporate bond worth 40 million pounds to traders in the UK markets, and another company known as Swap B, which is located in the United States, has issued a corporate bond worth $20 million. The directors of Swap A & Swap B have a meeting and decide to do a currency swap by exchanging both the principal and interest of their corporate bonds. In this deal, Swap A gets 20 million pounds worth of swap B bonds, along with the interest payments that will accrue on the bond and Swap B will get 40 million pounds of Swap A’s bonds plus the interest payments on Swap A’s bonds. This is a simplified version of a currency swap. As we can see, the currency swap is a mutually beneficial arrangment between two parties, especially when they each want to do business in each other’s countries. By using the currency swap, both companies can bypass unfavourable borrowing conditions that an international company may face when aiming to get financing to do business in another country. Let us imagine that a company in Canada wants to site their company in Malaysia to cut production costs, and with this in mind, they obtain a loan of 5 million Canadian Dollars from the Canadian banking system. This company now exchanges this amount with a Malaysian company in a currency swap deal, getting an equivalent amount of Malaysian Ringgit for their CAD. In this currency swap deal, the Canadian company has been able to secure Malaysian Ringgit for its operations in Malaysia, and the Malaysian company now has Canadian Dollars with which to carry out business in Canada whenever they need to do so. Another example in which currency swaps can be used and are quite beneficial in this respect is when a company has a large branch network scattered over many countries. In this instance, the company’s headquarters can use currency swaps to exchange the currency of the country it is located in, for the currencies of the countries where its branches are located. This is done to cushion against a situation where there is a risk in sudden currency exchange rate fluctuations, especially as currency exchange rate fluctuations do not usually give warnings. Currency swaps are useful tools for companies wishing to do international business because they can use it to lower borrowing costs and also as a hedge exchange against exchange rate fluctuations. The secod purpose is what makes them tradable as Over-the-Counter (OTC) derivative instruments.